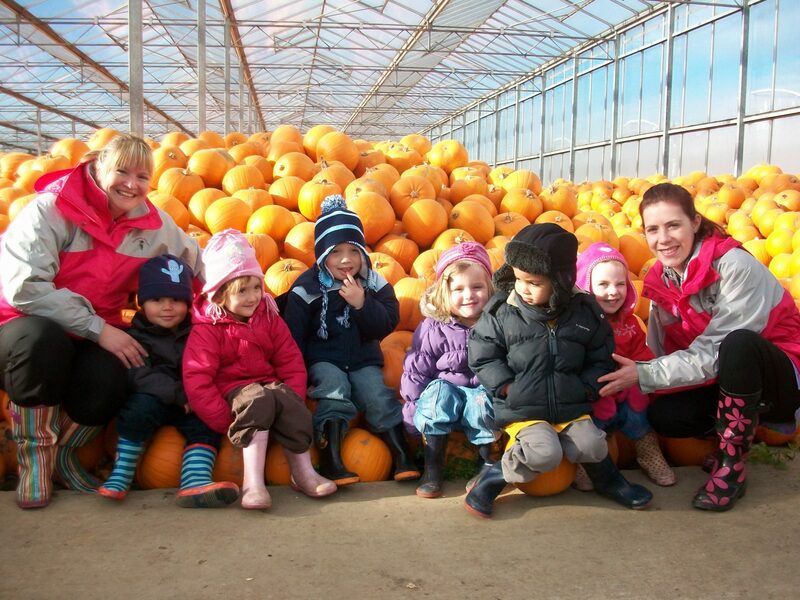 We took some of our Pre-School children on a visit to Oakley Farms Outwell to see the pumpkin farm. The children saw hundreds of orange pumpkins and watched how the farm workers washed, labeled and boxed ready for the supermarket loaded into enormous lorries. 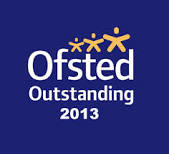 They touched and felt them, carried them , very heavy! 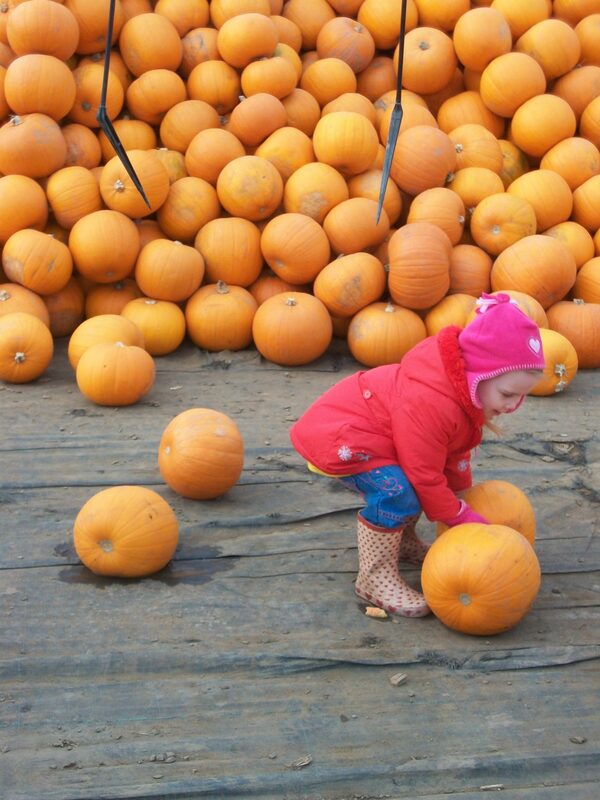 And stuck labels on their own small pumpkins to take home courtesy of the Farm. 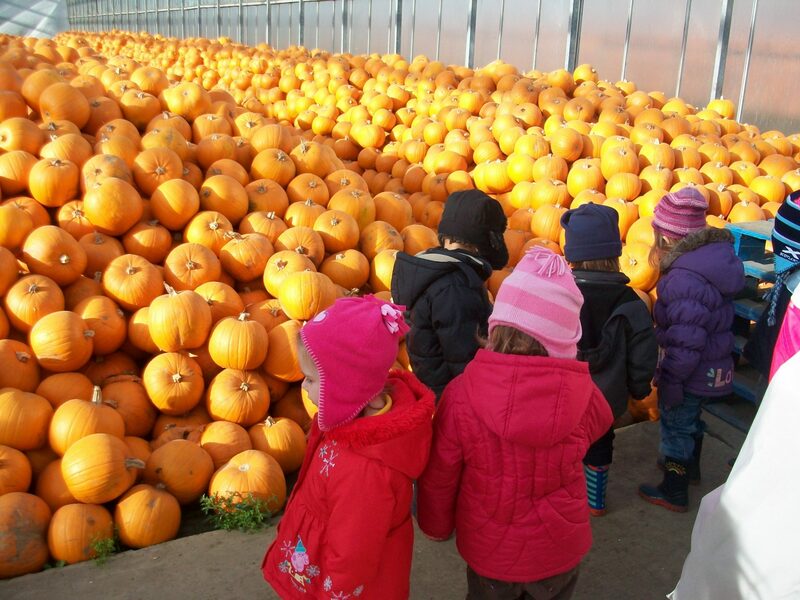 This was a fantastic opportunity for the children to discover how the pumpkins actually arrive in the supermarket and to see how many different sizes there were. This will help with Blackberries real life themes. 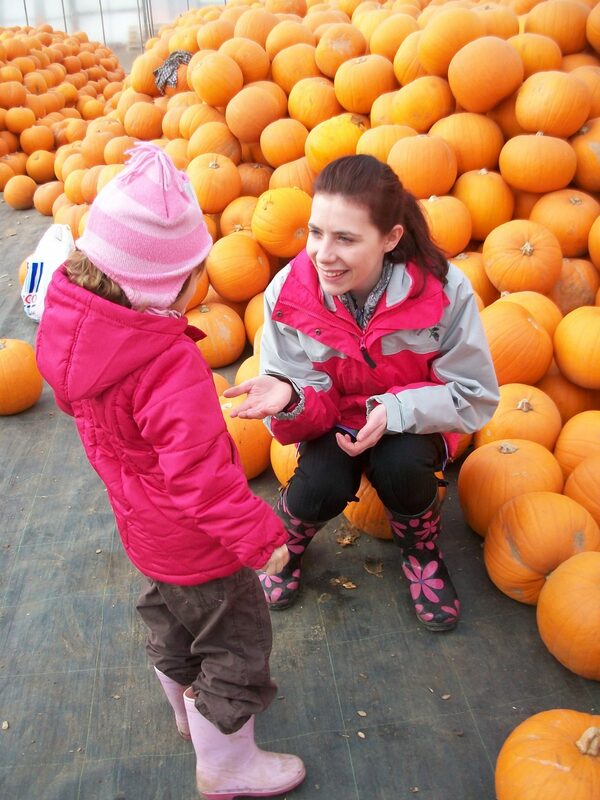 Head of Pre-School Lauren Kelsey ( dark Haired) said this was great to bring pumpkins to the children in a real environment and understand the environment of their local community forming part of the Foundation Stage Curriculum Knowledge and Understanding of the World.